The end of August means the end of the transfer window in Spain. It has been a summer that will go down as a frustrating one for both Barcelona and Real Madrid, who have missed out on their top targets and are facing up to a new financial reality, whereby rich clubs from around Europe and particularly the Premier League are no longer obliged to sell their star assets when La Liga’s big two come calling. Despite that, all of Spain’s top four from last season have spent over £100 million on new players and Atletico Madrid and Valencia will both feel as though they’ve had pretty good summers. With nine new coaches in the Spanish top flight this term, many teams have set about revamping their squads and we’ve seen plenty of late action in the transfer market with some interesting loan moves and one or two bigger deals taking place as the window slams shut. Sevilla have perfected the art of wheeling and dealing over the past decade or so, which has given them the platform for their remarkable rise to become a European force. Last year they lost Sporting Director Monchi, the mastermind behind much of that business and that has only served to increased the scrutiny on their transfer dealings since then as the rest of Spain watches on to see if they can keep on the same track. The £18 million capture of Quincy Promes from Spartak Moscow this week represents their biggest summer purchase. At 26, they are getting a player heading into his prime and with 28 caps for The Netherlands, he does have a fair bit of experience. He has never previously played in one of Europe’s top leagues but having netted 21 goals in 37 appearances for Spartak last term, he is surely ready to make the step up. Promes will bring speed and energy to this Sevilla team and appears a good fit for Pablo Machin’s preferred style of play. 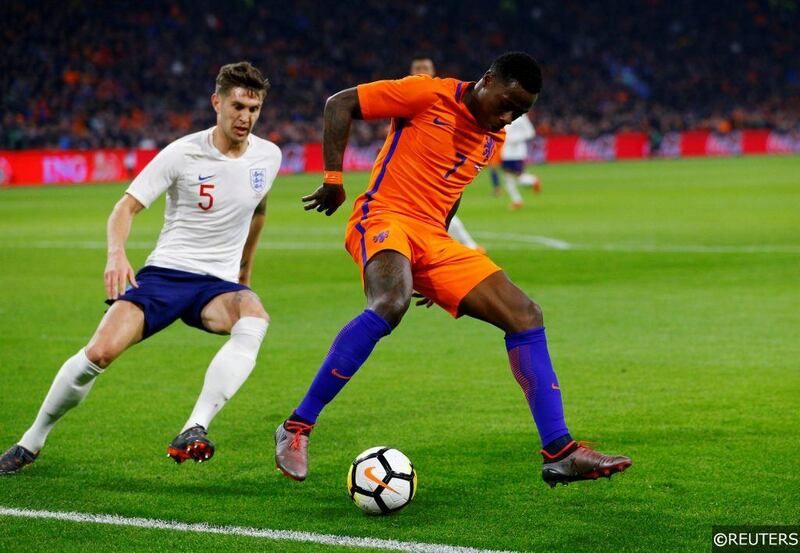 While there are still doubts over whether Sevilla really have a striker of the highest quality, Promes adds to the sense that they have major goal threats in other positions and will share the responsibility of scoring goals around. Promes will be hoping to become an immediate hero as Sevilla travel to Real Betis for a derby clash this Sunday. OFFICIAL: Mariano has been given Real Madrid’s No.7 shirt, vacated by Cristiano Ronaldo after his move to Juventus this summer. Real Madrid fans might be forgiven for feeling pretty underwhelmed by this one. They’ve spent the whole summer awaiting a new star striker to walk through the Bernabeu doors with Neymar and Kylian Mbappé strongly linked a couple of months back. Gradually talk of such a high profile arrival cooled and Los Blancos began to turn their attention to the likes of Rodrigo of Valencia and Iago Aspas of Celta. Both players were prolific in La Liga last term and would have at least provided real competition for Karim Benzema up top. Ultimately though Real have had to settle for bringing back Mariano Diaz from Lyon. The actual transfer fee was closer to £30 million but seen as Real already owned 35% of his rights, they’ve only had to fork out just under £20 million for a player who only left the Spanish capital last summer. He has done well at Lyon, scoring 21 times for the French club last season but had never previously looked like he would make the grade at the Bernabeu. The fact it has taken until the final few days of the window makes it pretty clear to all that Mariano was not Real Madrid’s first choice. Interestingly though he has been given Cristiano Ronaldo’s number 7 shirt which strongly suggests he will have a genuine role to play for Los Blancos but there is still an element of panic about the signing with Real desperate for another striker to at least provide back-up to Benzema. Gabriel Pires es nuevo jugador del Benfica. This is a really significant deal that will affect things at the bottom end of La Liga. Leganes have finished 17th in the last two seasons and are expected to struggle again. By selling arguably their best player on the eve of the transfer window shutting, they’ve really shot themselves in the foot and it’s a deal that will give hope to the newly promoted sides as they plot a path to survival. Gabriel has been the main source of inspiration and attacking quality in a defensive Leganes side over the past two seasons. At 24, he was only likely to get better and £9 million isn’t a huge fee to receive for a player of his quality in the current market climate. It appears to be a good deal for Benfica and the Brazilian’s departure leaves a big hole in this Leganes midfield and will only add to the difficulty of the job that Mauricio Pellegrino is facing. This is a move that seems to mark the beginning of the end for Paco Alcacer’s Barcelona career. The perennial bench-warmer may finally get some first-team football this season although he will still have to fight for his place in the Dortmund starting line-up. Alcacer’s career has been in limbo ever since he opted to leave his local club Valencia to join the Catalan giants in 2016. While Barcelona are difficult to turn down, it’s a move that has really stunted his development as a footballer and he has never really looked to be of the quality needed to make the starting eleven at Camp Nou. His time on the fringes of things at Barcelona has done real damage to his international career too with the last of Alcacer’s 6 international goals coming way back in October 2015. From the player’s point of view, it’s certainly a much needed move and with Munir returning to Barcelona following a year on loan at Alaves, they do have cover up front so overall this is a move that makes sense for all parties. Another relatively young Spanish striker, whose career has hit a bit of a tough patch is Sandro Ramirez. He scored 14 goals in La Liga in an impressive season at Malaga in 2016/17 which earned him a move to Everton. However he endured a miserable time on Merseyside, scoring just once and only making five starts in all competitions before being loaned out to Sevilla in January. He failed to net at all during his time in Seville so he’s a player who is really looking to get his career back on track following an absolute shocker of a season. Given how poor he was last term, he certainly won’t go straight into the Sociedad side and is mostly likely to act as a back-up option to Willian Jose. With three years to run on his contract, Everton will be praying he finds a bit of form again, if only so they can offload him in twelve months time but he gives the impression of a player that has completely lost his confidence. There are parallels with the career of Borja Baston, who had one prolific season in La Liga with Eibar but went on to to fail to make any impression in the Premier League and has subsequently failed to get back on track since returning to Spain. Categories: Blog, Football, and Transfer News. Tags: la liga, transfer news, and transfers. Team Tag: Barcelona, Leganes, real madrid, Real Sociedad, and sevilla. League: Spanish La Liga. Sports: Football.